Happiness experts say it’s experiences, not material goods, that are the most memorable and make us feel the most fulfilled. Lately, more newlywed couples are taking this to heart, eschewing traditional wedding favors in, well, favor of more cool experiences at the reception. How to do it? Utilizing your venue is always a great option: “[We got married at the Cincinnati Observatory] and instead of giving guests something to take home, we had a telescope open for guests to look at the stars and moon,” says Kara Gebhart Uhl. 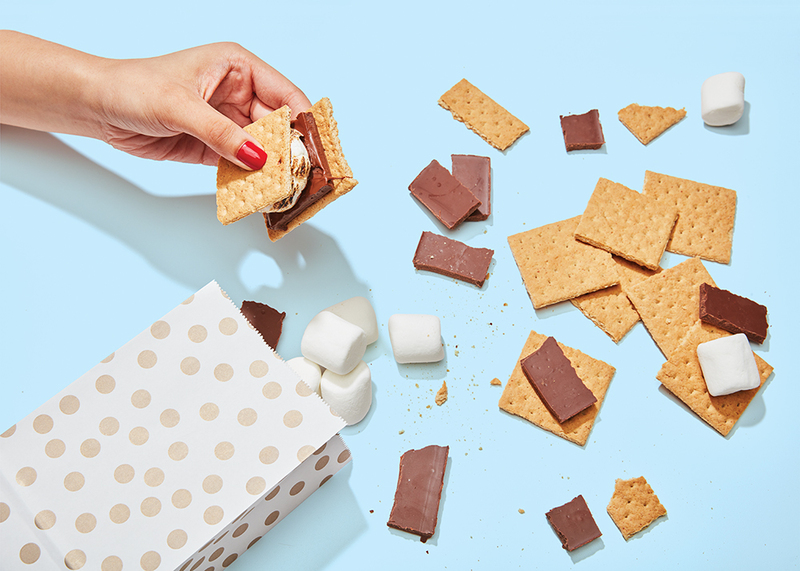 You also can’t go wrong with goodies: “We did a s’mores bar with take-home s’mores kits,” says Jessica Godby. No matter what you “gift” your guests—samples of specialty beers or wines at a brewery or vineyard venue; a build-your-own-appetizer spread; a copy of your DJ’s wedding playlist—the key is to keep it personal. Some of our local favorites? Streetpops allows you to create custom flavors (think: first-date cocktail-themed pops), and Urbana Café’s sky-blue Vespa APE—a coffee-roaster on wheels—will keep your guests well-caffeinated and promote Insta-worthy snaps at the reception.